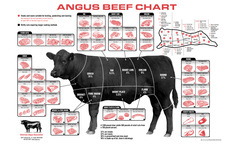 Handsel Farms proudly offers top quality Black Angus beef. We maintain high standards in raising our cattle. All are naturally raised, pasture fed beef. We offer two options for your beef choice. 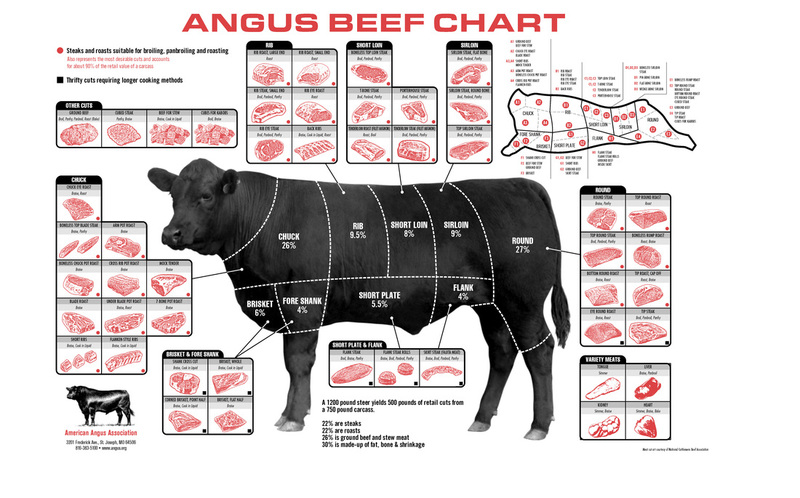 One would be pasture fed, finished out with locally grown grains and essential nutrients to aid in marbling of the meat. Or, should you prefer 100% pasture fed with no grain finishing, we have that as well. Both result in superior, high quality, great tasting beef. No growth hormones or steroids are ever given to our cattle. Antibiotics are only used to ensure the health and safety of the animal when advised by a veterinarian. The meat is processed without artificial or other added ingredients. Finally, we dry-age the beef to ensure the most enhanced flavor and tender steaks. Whole, half and quarter portions of beef are available for purchase. With custom butchering, you can select the cuts you want. For more purchase options and prices, just give Rod a call at 317-716-7863.